Interested in bolstering your identity security and UX? How about enabling speedier app deployment, or mitigating application threats? 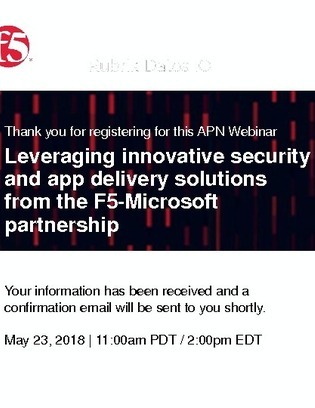 In this webinar, discover how a joint offering from F5 and Microsoft aims to provide the answers to these questions and more through a platform designed to enhance your application delivery, identity, and app security in the cloud.